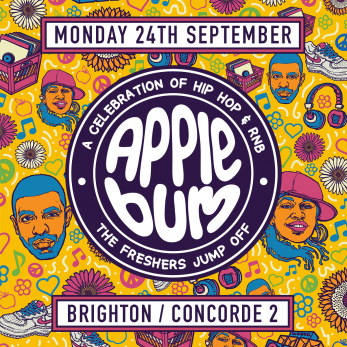 The UK's biggest touring Hip-Hop event Applebum, make their Brighton debut with us this Freshers! Expect nothing but the biggest urban beats both old and new school, whilst immersed in East Coast themed decor. This is not one to miss!